A wine of character, the Grande Tradition is the result of a subtle blend of 90% Chardonnay and 10% Pinot Noir. It has benefited from at least three years ageing. Its lovely amber yellow colour and fine chain of bubbles are an instant success. Its radiant nose reveals notes of dried fruit, with touches of quince, honey, May blossom and limeflowers. 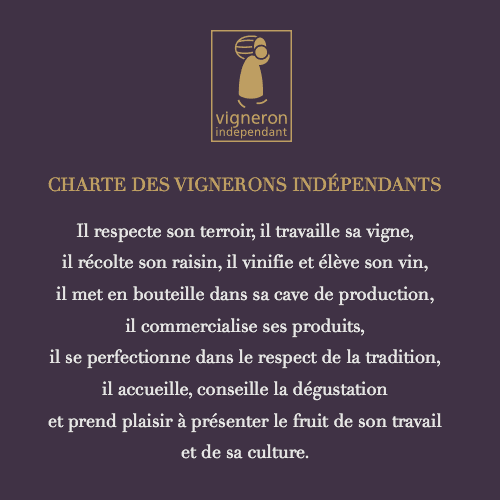 The fruit of a blend of 80% Pinot Meunier and 20% Pinot Noir, this wine, made from red grapes with white juice, a genuine reflection of family savoir-faire, is composed of 60% wines of the year and 40% wines of the previous year’s harvest. It has aged at least 24 months before marketing. Its deep yellow colour and fine bubbles are charms that will seduce you at first sight. On the nose, the Carte Blanche offers rural accents of harvest-tide apples and straw. Made on the basis of the Carte Blanche (80% Pinot Meunier and 20% Pinot Noir), the Carte Douce has been given a slightly higher dosage of sugar. Made with 60% of the year’s wines and 40% of wines from last year, it has had the benefit of at least 24 months ageing in our cellars. This “Seduction” wine is made exclusively from Pinot Noir grapes, to which a red AOC wine from our coteaux, specially vinified after the harvest, is added during bottling. It has a brilliant, salmon-pink colour and fine chains of bubbles and a nose expressing notes of crushed red fruit punctuated by a touch of fresh figs. 90% Pinot Noir and 10% Chardonnay (4 g/l de sugar) this champagne has a beautiful golden yellow colour and fine bubbles. its bouquet expresses the highly seductive aromas of fresh fruit and freshly-cut flowers. Appearance: the sparkling radiance of its beautiful golden robe makes it irresistibly tempting. Nose: its nose reveals aromas of white fruits with oral notes. Mouth: the harmonious, ample mouth blissfully expresses the same sweet, fruity notes as the bouquet, with a full body and long nish. Fantastic with dessert and astounding with foie gras, Craziness is a champagne to share, from pre-dinner drinks right through the night. To be savoured well chilled. Appearance: its beautiful dark golden robe and stream of ne bubbles will charm you right from the start. Nose: its nose reveals the perfect maturity of a wine that has aged for more than 19 years in our dark wine library. Mouth: its remarkable balance and the dense, intense consistency in the mouth are magisterial, revealing distinct notes of brioche, gingerbread and prunes. This high-class, full-bodied and crisp champagne is a must! It can be enjoyed throughout a sophisticated meal or as an aperitif with amateurs of exceptional vintages. Nose: its inty nose expresses notes of citrus fruits and reveals a very subtle woody avour. Mouth: the mouth reveals crisp aromas accentuated by the very low dose of sugar, before developing in nesse and minerality with the same woody hints of its bouquet at the nish. This exceptional vintage champagne crafted from the 2012 harvest and vini ed and aged in barrels until bottled will make the perfect guest with sh or white meat. It can also be savoured as an aperitif with friends.